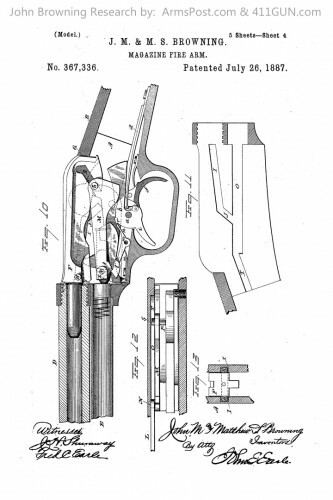 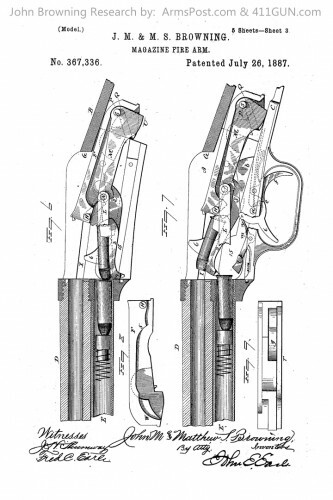 It was on July 26th, 1887 that John Moses Browning was granted US Patent 367336. 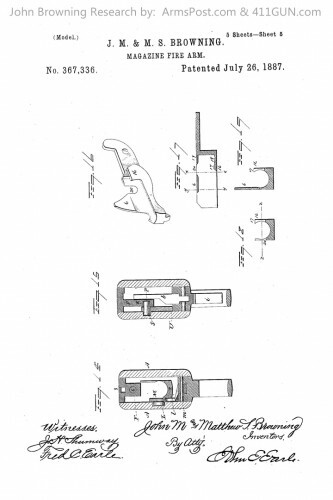 He applied for this patent on July 12th, 1886. 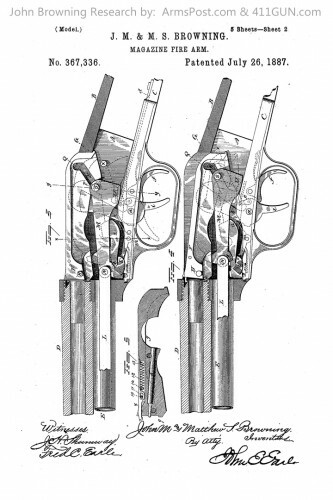 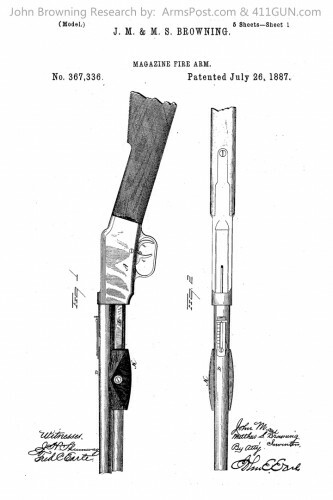 This patent was categorized as a Magazine Firearm, which was a pump action repeating mechanism.